Today, I am going to show you What’s the best keyword research tool for – My Jaxxy review. If you haven’t heard of Jaxxy before then now is the time to learn more about it. Jaxxy is a keyword research tool that is one of the best for everyone who is involved in internet marketing, affiliate marketing, niche website marketing, the list goes on. 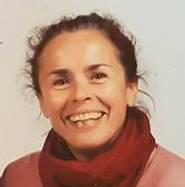 If you are a blogger, affiliate marketer, have your own eCommerce store, doing local marketing – whatever it is – if you have a website: you want people to find you in between millions of other websites. As a website owner, you need to understand keywords! Without the proper use of keywords on your site, no one will ever get to read your awesome content or buy from your beautiful online shop. 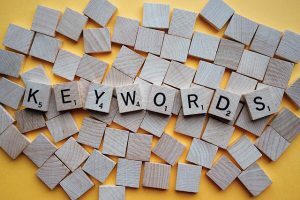 So, let me introduce you to one of the best keyword research tools that will help you get ranked in the various search engines like Google, Bing, and Yahoo. Important notice (26.08.2017) Recently, Jaxxy has been updated to version 3.0 with new features and new prices. For a quick reference, you can go to the Table Of Contents and click on ‘Update Jaxxy’. Jaaxy describes itself as “The world’s most advanced Keyword Tool”. It is a premium niche research software that gives you all the important keyword metrics at a glance. It is incredibly easy to use and to understand even for newbies. As you can see in the screenshot, the Jaaxy dashboard is very clear and easy to navigate. Besides Searching for Keywords, you can also check your Site Rank, use the Alphabet Soup Search option, Save your Keywords in a List for later use and you can search for Affiliate Programs related to your keyword/niche. The competition metrics are very important when you do your keyword research. I will show you the ones that are most important. This screenshot shows my recent keyword research I have performed for this post. I highlighted the three essential information/metrics with the green and red arrows. First: Average ⇒ Shows the average number of searches that the keyword receives per month. It should be ideally over 50 searches. Second: QSR ⇒ Quoted Search Result; it tells you the exact number of competing pages for the exact search term. The lower the number, the better. I usually aim for under 100 competing pages. Thirdly: SEO ⇒ Shows a score based on traffic and competition, the higher the score, the more likely you will rank in the search engines. Another interesting measure is the KQI (the green dots). It stands for Keyword Quality Index. The green color signal means very good, yellow would mean it is okay and red is not an option at all. In the screenshot, I also highlighted two keyword phrases. 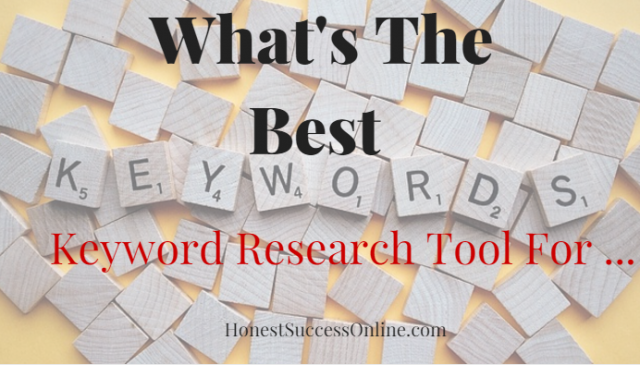 “What is the best keyword tool” and “What is the best keyword research tool for”. The metrics are very similar with the average monthly traffic number and SEO. But I decided on the second one (in the green box) because the competition is much lower. The QSR is at 31 compared to 55 (the red box). My chances are much higher to rank in the search engines due to the lower number of competing pages. How would you feel if I told you that with Jaaxy you will never run out of ideas for new content for your website? Besides the competitive metrics which are essential to finding the best keywords, the keyword related Brainstorm section is one of my favorite features. Another important factor for me is that Jaxxy shows me long-tail keywords (or low hanging fruit keywords) which are crucial for newer websites to get ranked in Google and other search engines. It is so user-friendly because all the information I need is on one page. Try before you buy is another one of my favorites. You can try Jaaxy for free for up to 30 searches. There is no credit card required to create a free account. Type in your keyword in the search box below. Jaxxy has a user-friendly interface and is easy to navigate. It shows keywords galore, helps you to uncover some fantastic keywords and works ultra-fast. There are training videos included making the most out of this powerful tool. Use it to find new domains and flip them later. Find new niches and sub niches. 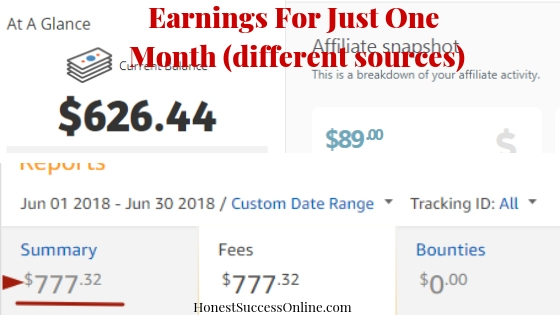 Great tool for beginners and advanced affiliate marketers, bloggers and domain flippers. I haven’t found many flaws since I have been using Jaaxy. But of course, as with any tool, there is always room for improvement. I just noticed that now and again, the QSR doesn’t show automatically. (I guess I have to upgrade to the Enterprise plan 🙂 ) It is no big deal since I can click it and then it comes up. But it would be nice if all search queries would show the QSR immediately. Some users are saying that the metrics and the site rankings are not accurate sometimes. It would be also great to have the option to search keywords for different countries and in different languages. Regarding help and support, I am not too sure how to get in touch with the Jaxxy team. Luckily so far I had no issues. The prices for the monthly subscription might be a bit high for people who just starting out. Overall, the Pros outweigh the Cons by far in my opinion. But as I said, try it for yourself and see how you like it. The monthly costs for Pro are $19/month and for Enterprise $49/month. The Enterprise plan is aimed at the power user: People who have many websites and need to be time efficient when it comes to keyword, domain, and niche research. Back to my original question (which is also my keyword) What’s the best keyword research tool for everyone who has a website. In my opinion, it is Jaaxy. Why? Because it shows you the most important information relevant to your keyword. The SEO score based on traffic and competition. Jaaxy is much more than just a keyword research tool. It helps you to find profitable niches, available domains, affiliate programs and fresh content ideas. All in a fraction of time. Finding the best keywords will help you get ranked high in the search engines. Knowledge is Power and will give you a head start to other websites aka your competition. Jaxxy 3.0 is now an even better, faster, and easier to navigate keyword research tool than ever. It had a complete make over including the logo, homepage and regarding each feature. One of the biggest changes besides the complete overhaul of the SiteRank feature (more about it later) is the look of the keyword research part. Here is a screenshot of what it looks like today. Now, the indicator for a great keyword is ‘Great’, of medium difficulty, it is called ‘Normal’ and a bad one is ‘Poor’. The results are pretty spot on and the keyword suggestions are more accurate and helpful for the user. One of my favorite parts is the ‘Related’ column and the ‘Brainstorm’ area which are ideal to find new keywords. Everyone is on the search for the golden nuggets – keywords with high traffic and low competition. And Jaxxy is a perfect tool to find these keywords – hands down. The Site Rank feature got a complete overhaul and is, even more, user-friendly than it was before. To check what keywords your post is ranking for, simply type in the keyword and the URL of your site and press the search button. Jaxxy will scan the first ten pages of not only Google but also Bing and Yahoo; the Big Three. Another cool new feature is the automated tracking tool as you can see on the bottom of the screenshot. You can now set up the scan to different intervals e.g. weekly, twice a month or monthly. The results are shown in a chart that allows you to compare how your post is performing. I find this feature very useful especially when I added more content, more related keywords etc. to improve my article. It shows me if my rankings will change for the better due to these improvements. If yes, which is likely, rinse and repeat with other posts. To spy on your competition and check their rankings, you could also type in keywords from competing websites. The free account comes with 100 searches in total, the Pro account includes unlimited manual scans and 2000 search credits for the automated tracking per billing month and the Enterprise account offers 5000 search credits. For each search, three credits are being used but only when you use the automated tracking tool. When you perform the rank checking manually then no credits will be deducted. Who doesn’t like to spy on the competition now and again, right! I do but try not to get too obsessed with it. After all, it is about creating fresh content and worrying about the competition can be really distracting. Anyhow, it can be very helpful especially when you are trying to rank for a certain keyword. The Search Analysis shows you the meta description, word count, number of backlinks for each website that ranks on Page 1 in Google, Bing, and Yahoo. Now you can go back to your post and add more content and make the overall user experience better. Also, check your meta description and see if it is appealing to readers. If not, change it to improve your click through rate. One data I would like to see though is the Domain authority to get a better idea of the competition. If the DA for all sites on Page 1 is higher than 35 then your chances are a bit lower to outrank them. If you find lower DA’s, say under 20, then your chances of ranking are much better. In a nutshell, here are the Jaxxy’s features that will help you in building a successful website. Find low competition keywords and keyword phrases for easy rankings. Find niche ideas and find out if you should go ahead or not. Use the Alphabet soup technique feature to uncover new keywords. Explore affiliate programs for your niche at the click of a button. Check your keywords and posts ranking. Keyword metrics show you how competitive a keyword is and helps you to make an informed decision. Spy on your competitors with Search Analysis. Basically, everyone who has an online business will benefit from Jaxxy, one of the most powerful keyword search tools on the market. As of September 2017, the prices for Jaxxy will increase significantly. The option to sign up for free is still there and gives you an awesome opportunity to check if Jaxxy is right for you. The Pro account will be $49/ month and the Enterprise plan will be $99/month. The great news is that if you sign up for a paid plan before the first of September you will be grandfathered the old price of either $19/month for the Pro and $49/month for the Enterprise plan. So if you feel that Jaxxy is the best choice for you, get in quick before the prices go up! I do hope my comprehensive review about Jaxxy and why it is one of the most powerful keyword research tools on the market has helped to answer most of your questions. It is super fast, accurate and easy to use without any distractions. Please leave your feedback in the comments below. I would love to hear how you like Jaaxy. Please note: this post contains affiliate links. I only promote products I use myself. For more information please read here.